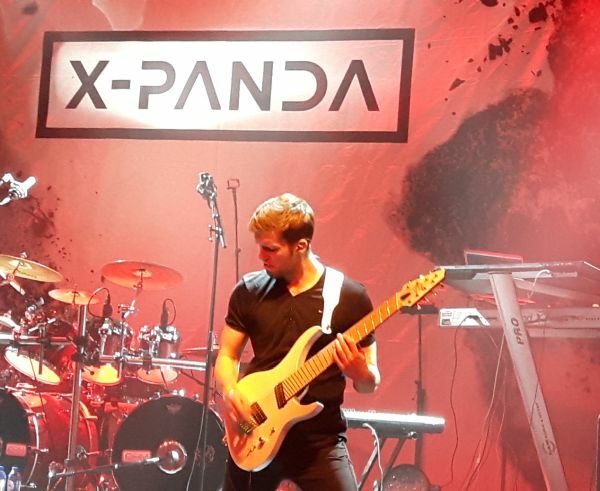 Another reason for me to attend this evening was the fact that X-Panda was the support act. I saw them at Progdreams 2014 and they really impressed me. At that time vocalist Tamar Nugis also played a lot of bass on the instrumental parts. The other bass-player stepped in when Tamar had to do his vocals. They now have a new bass-player Roland Jairus and Tamar only does vocals, no more bass. Guitar player Risto Virkhausen had a guitar with fanned frets. First time I have seen one of those. It looked strange but he played it with the same ease as his normal guitar. X-Panda played a lot of new songs from their new album Reflections. The sound of X-Panda stayed the same. 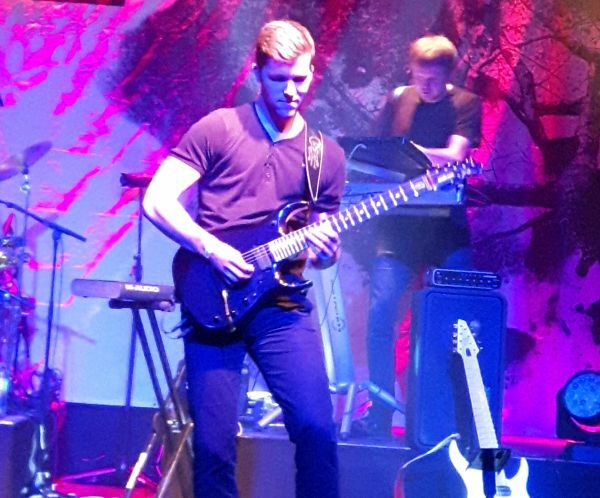 Technical progressive metal with many changes, heavy guitar and a nice layer of keyboard sounds. They still have their enthusiastic attitude but this young band sure has matured their music writing. Compared to their first album Flight Of Fancy there are a lot more vocals on the new one. Reading back my review from Progdreams I noticed that I mostly liked the instrumental parts. The instrumental stuff tonight was during the second part of their show. On The Way is an instrumental song from the new album and the title track Reflections is a huge piece of music, several parts in this song are mainly instrumental. The first part of the show I was, ahum, underwhelmed is a big word but I was not as enthusiastic as the first time I saw them. 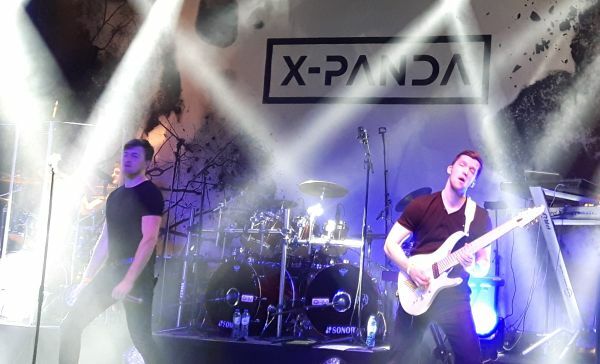 As they said themselves they are trying to cross some barriers for their music style and they were trying stuff you might not expect to hear from X-Panda. Instead of taking it more towards the experimental side X-Panda took a turn for more song-based, more accessible music. More lyrics while I was hoping for more instrumental technical stuff. They sure matured their sound, which is a good thing, but I hope they will turn more towards experimental instrumental music. All things considered they still played one hell of a gig. They are maybe taking a different road than I hoped for but that is no reason for not enjoying their gig. The last song was the title track of their first album Flight Of Fancy and to me that showed that X-Panda still has that fresh sound and can certainly bring a nice performance to the stage.